Fue mi primer día de mis clases. Today was my first day of classes. I am going to enjoy every second I write right now because I am finally able to think in English. So I may or may not have realized that if a class title is in Spanish…the entire class is taught in Spanish. Yeah, you’d think that one would’ve gotten through to me. Oops. The history of Latin America would be hard enough for me in English let alone Spanish. I definitely am going to try to get out of that one. As for now, I wake up at 10am, leave for the train at 11am, and arrive at UPO around 11:45. My day then goes from 12:00pm-2:50pm and I am home just in time for almuerzo and siesta! I am taking “International Management” (currently my english oasis), “Actualidad Latinoamericana:Prensa Y Cine,” “Conversación en español nivel Avanzado,” y “Esclavitud en América Latina y el Caribe.” I was also somehow put into a class called “Tapas:Una ventana a la gastronomía y cultura española.” Me in a cooking class? Forget about the advanced Spanish, anything involving cooking I would fail for sure. Domestication at its finest. It is nice to finally have some sort of schedule. As I mentioned before, time is not important in Spain, except when it comes to your classes. It is extremely disrespectful to show up late to class, eat or drink in class, or leave to use the restroom. The CIEE prep team made sure to inform all of the Americans of this before the professors all thought we were barbarians. UPO prides itself on being a different kind of public university. 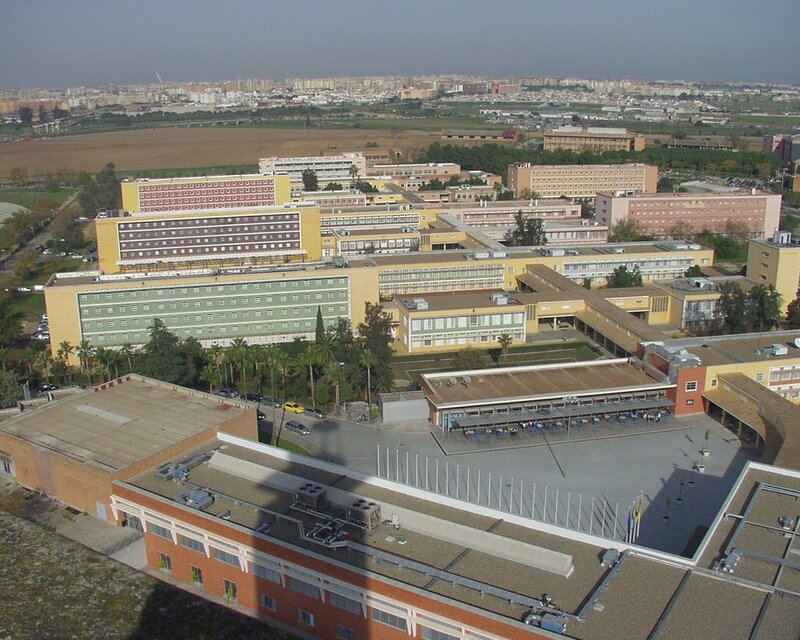 Most European schools do not have a set campus, but we are lucky enough to have one at UPO. It definitely does not have the beauty of Santa Clara University, but I am excited to be attending nevertheless. All of our classes are held in the same building, both to make it easier for us and so the Americans do not bother the Spanish students too much. The program does a great job at promoting flexibility and travel. No one has class on Fridays, so there will be plenty more weekends available for me to explore Europe. This is a bit of a tricky topic for me. I want to travel all around Europe during my four months here. I have already planned trips to Portugal, Paris, Morocco, Germany, Soto Grande and I want to go to Greece, Italy, Rome, Prague, and Amsterdam. However, leaving so many weekends makes it very difficult to continue working on my spanish and spending time with my host family. I wonder if seeing the world is worth missing out on these other opportunities? I have yet to decide. Well, tomorrow is my second day at UPO and I will get to experience two more new classes. Hopefully I am able to understand at least one of them! Considering one is in English, I have high hopes. Hasta Luego!